I used to pass Wayne Thiebaud between studio classes in the art building at UC Davis. He would usually be lining up students’ paintings of dollar bills beside one of his own. I love his central valley and San Francisco landscapes but there’s nothing quite as special as walking up to one of his cake paintings, where the paint is so thick that you feel like you could dip your finger in and sneak a taste of sugary goodness–as if in a Willy Wonka reality. 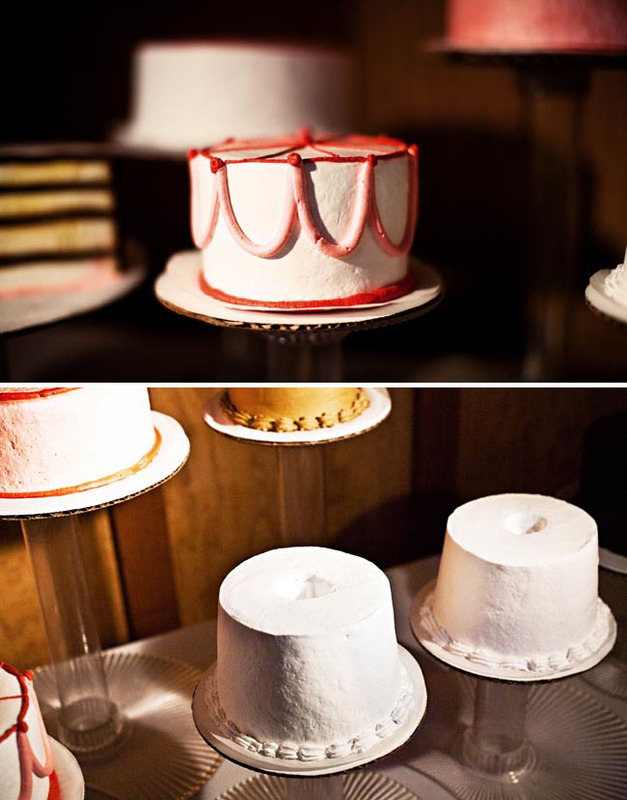 A bride and groom in Northern California had a baker recreate his Cakes (1963) for their wedding. 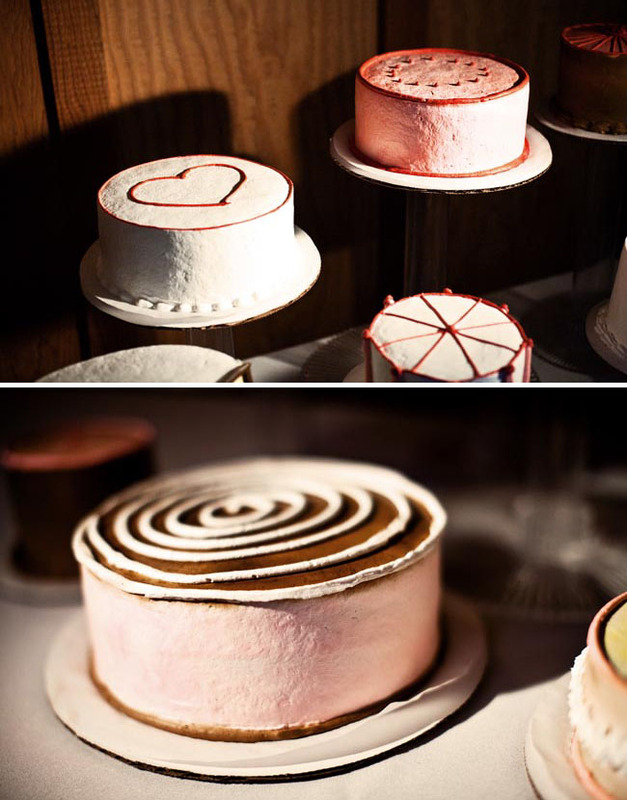 How amazing would it be to finally get to taste that frosting? P.S. 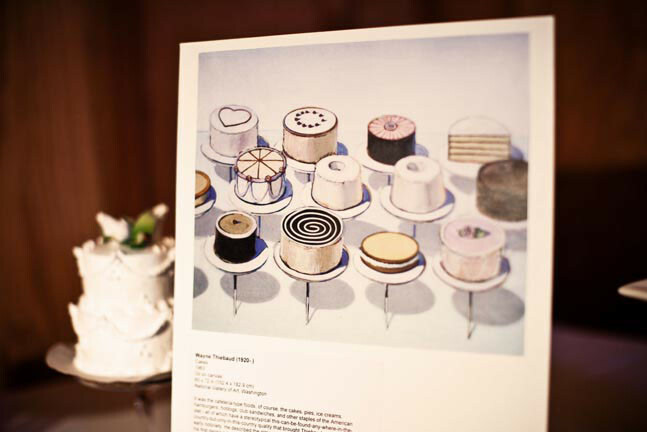 Thiebaud hails from my home town of Long Beach, CA!